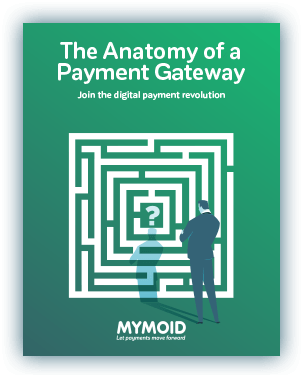 The Payment Gateway that makes a difference. Accept payments without depending on financial institutions. Contact us or download our ebook for more information! Our gateway is capable of processing across 45 countries in 128 currencies. With our international scope of activity, you will not need to hire local services for each country. As opposed to other gateways, we are not tied to any specific processor. This allows us to transform your data into universal tokens, giving you complete control over your operations. Although we do have strategic partnerships available upon request, we are not tied to any specific processor, making you independent from financial institutions. Enjoy a complete control over your payment logic. As a FinTech company, we put a strong focus on technology as the main driving force behind our solutions. Our powerful REST-API is aligned with our mission for innovation, making the incorporation of new functionalities fast and easy. We provide a comprehensive customer support 24/7 to ensure the complete satisfaction of our clients. We are dedicated to resolving urgent matters in less than 5 hours, and provide consultations in less than 72 hours. Our payment gateway keeps your transactions and credit card data safe and protected against vulnerabilities. Accept payments securely in a stable PCI environment. Fasten your seatbelts, because our automated processes will make transactions better, quicker, and more convenient. Our omni-channel gateway ensures that your customers can pay easily wherever they are. Accept recurring payments by tokenizing credit card data in a PCI environment. Charge your customers with a planned delay to prevent chargebacks and guarantee funds. Our secure Payment Gateway helps you reduce chargebacks and operations risk. As a FinTech company, we are committed to providing high-quality payment solutions that adapt to your needs at every stage of your development. ​We grow with you. Digital payments are changing the industry. By the end of the year, online, mobile, and contactless card transactions are expected to reach $3.6 trillion globally. Contact us and explore the countless benefits of providing digital payment solutions to your customers! Take control of your payment operations with a safe Virtual POS. Perform all your operations in a safe PCI-DSS environment.